In today’s interview, Graphic Designer Ana Grigoriu-Voicu shares some insight on the typical mistakes new authors make when approaching a Book Cover Designer, the existing trends in Book Cover Design depending on genre and the services a professional Graphic Designer can offer an author. This former Art Director has worked for Advertising Agencies and her field of expertise also encompasses Logo Design and Website Design for authors. Given her extensive experience in the field, the talented designer has agreed to a series of 7 Questions rounds, so if you’ve missed Part One of this interview, you’re only one click away. And if you want to know more about Nailing Your Book Cover Design, the same recipe applies. Esther Rabbit: How do you manage to juggle life and design? I used to work as an art director in advertising agencies and one of the things that made me choose the freelance type of work was not being able to have a healthy personal life. Since I switched to working on my own I am happy to say I can take care of both family and career in a way that doesn’t ask for great sacrifices. The most important thing to remember is to be as organized as possible. I keep lists of everything I need to do and have a client organization system that makes things easier to follow. 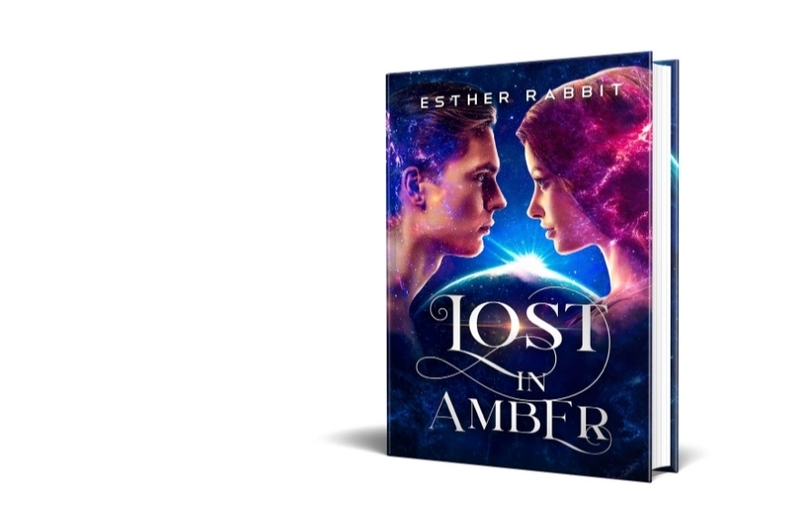 Esther Rabbit: Do you have preferences when it comes to book cover design? I’m happy to say I enjoy the multitude of cover design styles I create. There’s days when I feel inspired to draw and days when I‘m inspired to create dynamic photography-based layouts with lots of details. Esther Rabbit: “Don’t judge a book by its cover”… but we all do. What are some attributes of an attractive cover? The ideal cover design should give the potential reader a general idea of what the book is about, in the same time without revealing important plot twists or elements of the story that the readers are supposed to discover themselves. The title and author name should be visible and easily readable. The overall composition should be balanced and not too busy. Esther Rabbit: We all know this industry is full of surprises. Can you share an unexpected experience? My favorite funny experience is a couple of years old when I received an email from an author that requested quite a few services for the price of £3.00. Thinking that it was a typo, I replied with an offer for £300. What I got back was a very upset reply from a person who stated that they would never consider paying so much for a book cover design. Apparently they believed three pounds sterling should have covered a week‘s work. Esther Rabbit:What’s some of the terminology used by designers that authors should know? I try my best to explain certain technical aspects of the project in everyday words so that no matter what profession my clients come from, they can easily understand the design process. Most of the time I find myself needing to explain how the printing process goes and what some of the technical terms mean, why the DPI is important or what the actual difference between RGB and CMYK files is and how it affects what they see on screen. Esther Rabbit: How does a designer look for clients? When I had just started out I found clients via crowd sourcing websites where I offered my services in contests. After a while and a few contests won, I built my website and advertised my services directly. It took a few years of very hard work, but now authors contact me for my services and I don’t actively look for clients anymore. Esther Rabbit: What’s an approximate price authors would pay upon hiring your service? I offer each of my clients an initial quote free of charge, once we discuss in more detail about their project and I can estimate a correct price. the work involved in each cover art is different. Find Ana below and if you’re a writer, don’t forget to check out all the tips From Writing To Publishing Your Novel, and sign up to my Newsletter for the latest & greatest.